1) The mascots for the 2016 Olympics and Paralympics have been revealed on 24 November 2014. 2016 Olympics games will be held at? 2) Senior Congress leader and former Union Minister Murli Deora passed away in Mumbai on 24 November 2014. He had held which portfolio during UPA-1 regime? 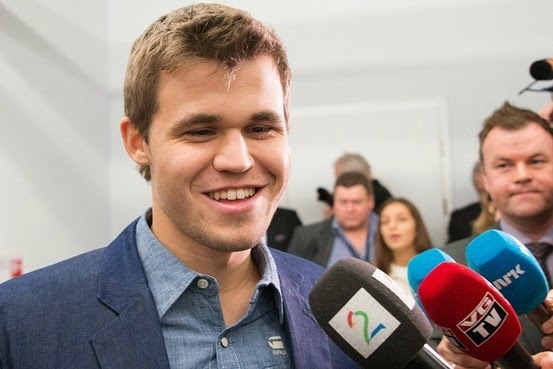 3) Norway's Magnus Carlsen won the World Chess Championship 2014 defeating Indian challenger Viswanathan Anand in the 11th round of the game on 24 November. The championship was held at? 4) Who was appointed as the special representative of India to conduct boundary negotiations and strategic consultations with China on 24 November 2014? 5) Who was appointed as the new chairman of Union Public Service Commission (UPSC) on 23 November 2014? 6) Supreme Court judge CK Prasad is set to be appointed as the head of the Press Council of India. He will replace? 7) Indian boxers Sarjubala and Saweety settle for silver at World boxing Champioships 2014 being held at? 8) Housing finance company DHFL recently appointed which bollywood actor as its brand ambassador? 9) Switzerland won its first Davis Cup Tennis title after defeating which country in finals on 23 November 2014? 10) All India Football Federation (AIFF) has announced that the 2015 I-League will commence on January 17. Which channel has bagged the broadcasting rights of the tournament?